PUNE: The Pune Police informed the Bombay High Court that it has transferred the case of alleged fraud and misappropriation of funds of the Osho Rajneesh Trust to its Economic Offences Wing (EOW). The police informed this to a division bench headed by Justice B R Gavai which was hearing a petition filed by Pune resident Yogesh Thakker. The petitioner had alleged that the spiritual guru's signature was forged in his will by the trustees of the Osho International Foundation. While an FIR was lodged with the Pune police last year, Thakker claimed the police had not made any substantial progress in the probe and hence, sought a direction to the CBI to take over the investigation. The court had last week sought to know if the case could be transferred to the EOW for a specialised investigation. Following this, Pune's deputy commissioner of police, in a letter submitted to the court, said the probe in the case has been transferred to the EOW. "The EOW shall file an interim probe report in the case within four weeks," the court directed. According to Thakker, the trustees allegedly transferred money from the trust to private companies owned by them. In 2012, Thakker wrote a letter to the Pune Police commissioner following which an FIR was lodged against the trustees in 2013, but so far there has been no further progress in the case. 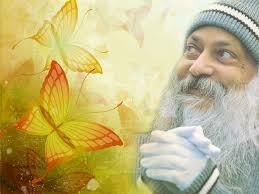 Rajneesh passed away in 1990 and his will was prepared in 1989. Thakker alleged that the will was forged and sought to support his claim with a report of a private handwriting expert.